HITS:this cheat can also do the jumpjet and ohdude..
First of all, Mod's are a short way of saying modifications. 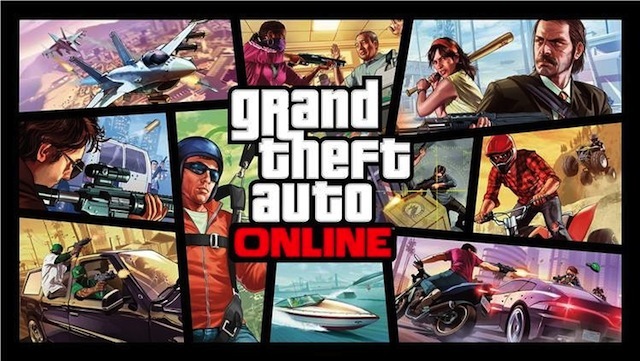 They can edit cars, vehicles, clothes, and even buildings on the PC version of San Andreas. To install mod's onto the actual game after download, get the installer, SAMI, to install the mod's on the game. Other types of mods like clothes and buildings are harder to install. You need to get a script file before you can use SAMI to install it. Most sites will provide scripts with all of the mods though, but some can be found on various forums and other sites. Make sure that the game stayes in it's limit of KB's otherwise the game will crash. If you have trouble on the loading screen of the game, after installing any mod, try typing this into any search engine, download it, and operate it straight after download. "Downgrader Gta San Andreas Mod"
After using the downgrader you will have no trouble loading the game. Do not open the main gate first.Open the gate where boxes are kept kill all soldiers.Then type code ghost town and then open the main gate. Did you know that you can broke the bridge near the cj's house? Get on to the bridge near the cj's first house and you can broke a part of the bridge by using a vehicle. Pros-Makes vigilante missions easy and fun to do,takes a lot of time to explode(even if you try using rocket launchers);that is unless you turn it over.Usually explodes a car with one hit(not sure if two rhinos explode on touch).Guns like 9mm pistol,micro smg,silent pistol,desert eagle,sawn of shotgun,shotgun,ak-47 etc don't do much against it(though rocket launchers have a better chance of exploding rhinos it still takes a lot of shots).It also has a turrent. Cons-slow,can get you alot of cops on your tail especially if you try vigilante missions,can't use guns in the rhino but the turrent makes up for this for this advantage,though it can explode almost every type of vehicle it still can't damage a train(Don't think anything can do it). At some point you will be able to respawn at katie's house after you are "wasted".So using this as your advantage,go on a date with her and after your done get wasted anyway you like;suicide,get killed by the cops(don't get busted) or any other way you like(but you must die in San Fierro or you won't respawn at katie's place)if she's still not at home die again.Keep doing this till you can go on date.keep using this method and you'll have a 100% relationship with her in no time. Do the Hydra cheat(JUMPJET) or Hunter cheat(OHDUDE). Do it like 45 times and then throw a remote explosive or two on each of them and then detonate them. There will be a big boom! To get 150 Armor, complete 12 Vigilante Missions. This is the max armor you can get in the game. If you want to find oysters they are normally at the end of the map so they are just near land. In Woozie's Mission "Lure", you are asked to drive the decoy car into countryside. If you finished the mission, you will receive $8000 as a reward. Now, the decoy car your using is a bulletproof vehicle which means that it is immune to bullets. This is a good oppurtunity and you can save it in a garage! Want to move a car without jacking it? It's simple all you got to do is run as fast as you can right at a car(at the side)and it moves,sort of like pushing it.Not sure but I think if you have better muscle you can push it faster. You may find that on Grand Theft Auto San Andreas destroying your car accidentaly effects missions. For example, timed missions and missions where you can only use a certain car.Well, if you need your car to be repaired fast and your mission depends on it then don't go to pay and spray and waste time. Type in while driving: 'hesoyam' (Do not include quotation marks) and your car is not only automatically repaired, but you gain an extra $250,000, full health and full armor. Now how about that. Use this cheat and win those time limit/one car only missions! (This hint excludes Wuzi mission 'lure') Please report any other missions this hint does not affect or sabotages! Thanks! Save $100 instead of using Pay 'n Spray! This type of hint is usually just easy. As long as you are in a car, just put your car in any of your garage. Instead of going to the Pay 'n Spray, you can save $100 and it fully repaired. * Note : Even if your going to park it on your garage, the current color of your car will remain. To get CJ be fireproof, you have to complete 12 Firefighter missions. Once you complete all 12 Firefighter missions, CJ will be fireproofed however he can still be affected by fire but since he is fireproofed, he will take no damage. If you find some grafitti tag it with your sprayer to get closer to 100%. Do the pimping missions in the lowrider car so hookers pay you for a little car rocking!! Go of some of the jumps because they might be the unique jumps. In this mission you drive Smoke to 2 mexicans to get some crack. Smoke kills one but the other runs away, you have to chase him and kill him. If like me you are not very good at chasing and jumping over fences, stop and type in 'ROCKETMAN' this will give you a jet pack and you can fly after the mexican until you reach the train tracks where you will want to stop, and shoot. Carry on chaseing and shooting at the same time until he is dead. Also you might be shot at by other mexicans; ignore them as you will soon be far away from them and shooting them wastes time! Do the same procedure as my last hint submission, type ROCKETMAN cheat to get the jetpack. This hint is just simple and easy. All you need to do is equip that jetpack then press Shift + W + A,S,D. When you press these, you will be stuck while your jetpack is on. * Note * : Shift stands for your Sprint move. W is the forward. You can change it to S for backward then just press Shift + S + W,A,D. To do this, you must enter the jetpack cheat ( ROCKETMAN ). Then have a gun ( get from a policeman ). Now type first the jetpack cheat then select your gun. Aim at anybody and go walk to your jetpack while aiming. Then release it whenever necessary. In this way, the jetpack will not disappear unless you release holding it. Get in front of a vehicle with a woman in the passenger seat.now enter the vehicle.as you throw the driver out and get in quickly accelerate. The woman remains in the car. Be careful not to slow down or she will get out. For the Infinite Run, have C.J. Complete the Burglary mission (steal $10,000 worth of stuff), which is available from the start of the game. If you would like to get the Hotknife car, without going through driving school, enable the Funhouse cheat (Funhouse theme: CRAZYTOWN), and you will see Hotknife cars driving around. Steal one. Croupier Uniform: Complete the mission "Breaking the bank at Caligula's"
Gimp Suit: Complete the mission "The Key to her Heart"
Valet Uniform: Complete the mission "555-WE-TIP"
Steal stuff to get more money from there houses. You shouldnt kill your girlfriends because they wont come back to life and then you can't play two player. You need a bike you can find it near the food shop witch is a special BMX bike that you can ride fast on, it is in Los santos, Glen Park. Make sure you cancel the challenge first in order for this to work. Then, go to the train station(Market)and wait for the next train to come. When it comes go inside the train, The visitors place not the drivers place. Then open the door and quickly get out and the door will be open. Be really close to the door. Do a bunny hop so your in the air and quickly cycle your bike so your inside the visitors train place. The train will be moving making your skill go higher really fast plus you wont be hitting anything! Pay when the owner is dead. I know the title might confuse you but I will explain what it does. Ok, this is simple. Try going to any place on the whole game where there is a mini-store. Try going to Las Venturas and go in where you have mission with Madd Dog the first time ( labeled Royal Casino ). Find it and head past to where there is a wooden chair. Then you will see 2 mini-stores. If you have enabled "Peds attack each other cheat" which is AJLOJYQY, all peds kill each other but it still attacks you even if the cheat said "Peds attack each other". Now you should see 2 owners of each mini-store beat each other as if they have problems on their jobs. Now try going to the red marker of either store. Even if the owner isn't there, you still pay $1. I hope that helps ^_^. Like the missions " Photo Opportunity " and others. Even if you type the cheat for Professional, Thug and Lunatic Tools, you will never find the camera as one of the weapon sets. We have 8,705 questions and 22,290 answers for this game.